Days before production kicks off on the highly anticipated second season of its hit original series THE LAUNCH, the first wave of celebrity mentors on deck to guide this season’s round of hand-picked emerging artists vying for an opportunity to create a new hit single. Recording superstar Ryan Tedder, the creative force behind THE LAUNCH Season 1 certified platinum hit single “Ain’t Easy”, returns to the series in a dual role as celebrity mentor and producer, along with Grammy® Award-winning singer/songwriter Sarah McLachlan and Max Kerman, the 4x JUNO-Award winning frontman for Hamilton rock band Arkells. Boat Rocker Media has acquired a majority stake in Insight Productions. John Brunton will continue to run all aspects of the company. The senior management team and showrunners remain in place, as will the entire Insight team. Barbara Bowlby, Insight COO and president, is stepping down but will remain a senior advisor and shareholder of the company. 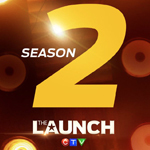 Bell Media has confirmed that its competition format The Launch will return for a second season. 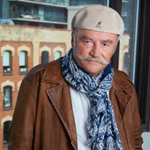 Season one (6 x 60 minutes) premiered in January to an average 2+ audience of 1.14 million viewers (across CTV, CTV Two, Much, VRAK and Canal Vie) and was later picked up by Sony Pictures Television (SPT), which is distributing the format and the original Canadian series worldwide (excluding Canada). As well, SPT’s London, U.K.-based production company Electric Ray signed on to produce a local version of the format for the U.K. market. 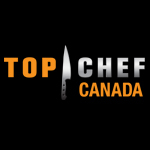 Filming is scheduled to begin in Toronto in September, with new episodes premiering as part of CTV’s 2018/19 season. Casting is now OPEN! Netflix has commissioned an original comedy special exploring the legacy of Canadian sketch show SCTV. 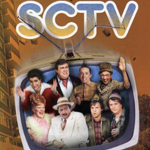 To be directed by Academy Award-winner Martin Scorsese, the untitled special will reunite SCTV co-stars Joe Flaherty, Eugene Levy, Andrea Martin, Catherine O’Hara, Martin Short and Dave Thomas. The stars will come together in front of a live audience at Toronto’s Elgin Theatre on May 13 for An Afternoon with SCTV, moderated by Jimmy Kimmel. The 2018 JUNO Awards average an audience of 1.4 million on CBC! 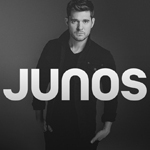 CBC’s broadcast of the 2018 JUNO Awards delivers an average 2+ audience of 1.26 million on CBC, CBC Radio and CBCMusic.ca with 33 percent of viewers in the 25-54 demographic, and an additional 221,000 streaming views to date in Canada and around the world on Facebook, YouTube and Twitter.